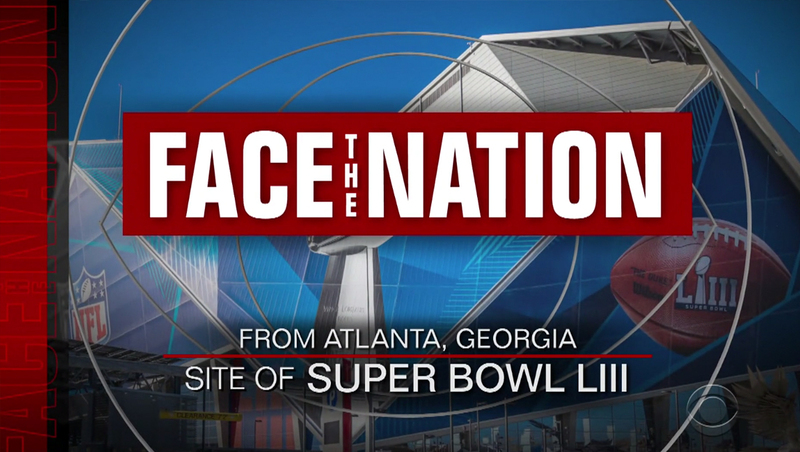 CBS News‘ Sunday morning public affairs program “Face the Nation” originated from Atlanta, the site of Super Bowl LIII. Margaret Brennan, the show’s moderator, hosted the show from inside the Super Bowl Experience, an indoor exhibit and “theme park” set up at the Georgia World Congress Center. 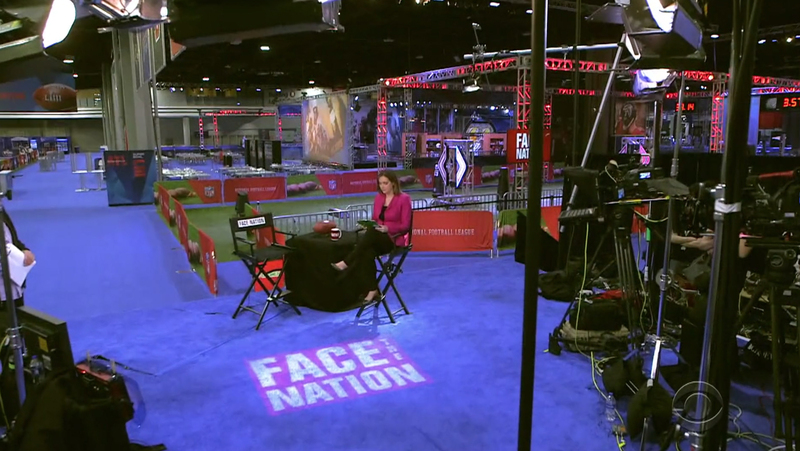 Her setup, placed on one corner of a mini football field, included two “Face the Nation” branded director’s chairs with a table displaying a football and mug, along with a logo gobo on the blue carpeted floor. The show also used a modified version of its open, incorporating imagery of both Washington, D.C. and Atlanta into it, as well as special Super Bowl branding. The show focused heavily on an interview with Donald Trump taped previously at the White House as well as pre-game analysis from CBS Sports and other commentators.